Spoon the semolina into a mixing bowl, pour 150ml of boiling water over it, stir well and leave for 10 minutes. Use a fork to mash the butter, honey, yogurt and salt into the mixture, then slowly work in 200ml of warm water, breaking up any lumps with your fingers. 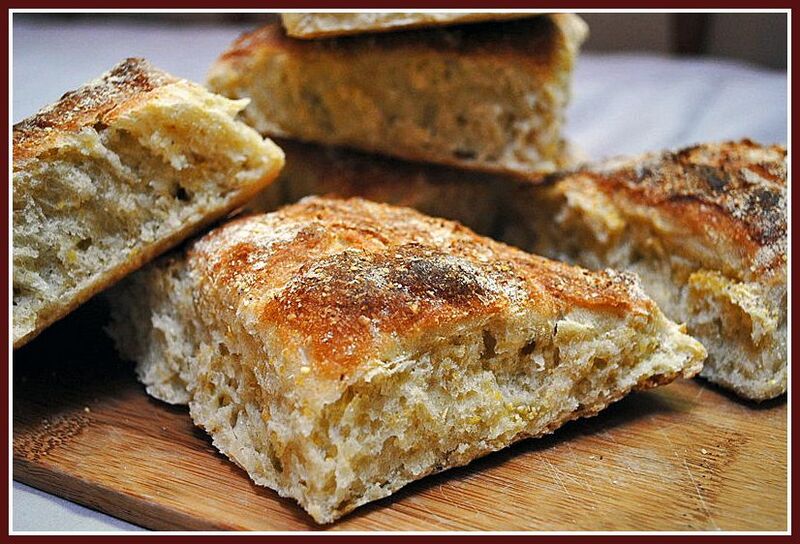 Stir in the yeast and flour, work to a smooth, soft dough and leave for 10 minutes. Give the dough three 10-second kneads on an oiled surface over 30 minutes, then leave, covered, for an hour. Roll the dough to about 25cm x 35cm on a floured surface, lay on a baking tray lined with parchment paper and leave covered for 20 minutes. Cut the dough into eight flat rectangular “rolls” but do not separate them, just make a deep incision all the way down the baking sheet. Leave, covered, until risen by half (I cut into six rectangles, and allowed them to rise for 25 minutes). Heat the oven to 465F. Brush the tops of the buns with water, sprinkle with semolina and score a deep crisscross on top with a knife. Bake for about 20 minutes, until brown on top. Let it cool for at least one hour on a rack before amazing yourself at how delicious the rolls taste. Comments: This bread is so simple to prepare that I am still a bit shocked by how good it turned out. 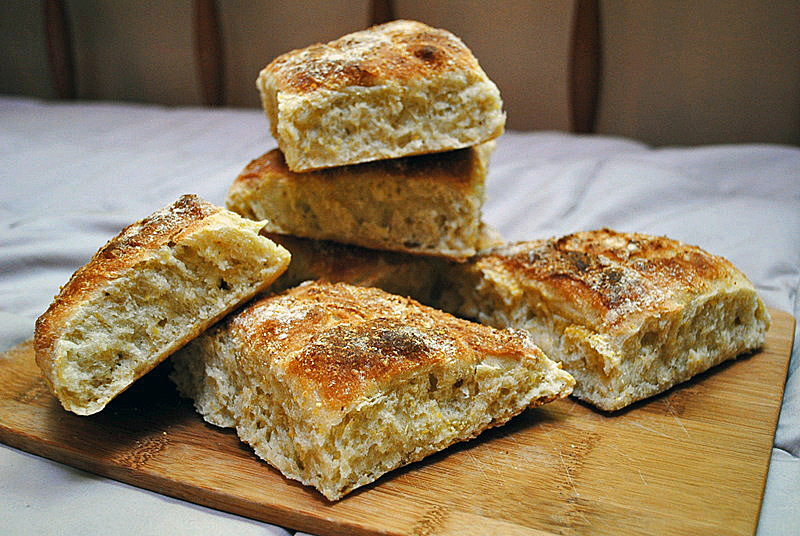 If you haven’t yet been sold to the idea that minimal kneading makes excellent bread, this recipe will convince you. I didn’t roll the dough, just stretched it lightly to preserve as much as possible the airy texture acquired in the hour long rise. Dan made this recipe with pulled pork sandwiches in mind, and the combination would deserve to go into the Sandwich Hall of Fame. Unfortunately, we don’t have any pulled pork at the moment, but the rolls still tasted awesome with ham, cheese and a slice of juicy tomato. I am submitting this post to Susan’s Yeastspotting… the second bread from our Bewitching-Nano-Kitchen. « SPICES? Did someone say… SPICES? So impressed that you made these in your nano-kitchen! I love hearing about your adventures. =) We really enjoyed these, too – so easy and so tasty! These look amazing Sally! I’ve added you to my RSS feeder so I’ll get to see your blog more often. Hey, Trishin! Nice to see you here…. I found your site 1 week ago, and I enjoy reading about your adventures, and recipes, because everything is colorful, and happy. recipe. I’ve converted them to oz. and cups. Must the amounts be exact? Parabéns!!! looks very delicious. Really make me hungry about now. I plan to make it soon, and use my toaster oven também! Great choice for that nano kitchen 🙂 Yours look beautiful ! I made these again the other day for a lunch party, there are never any left over…. Sally, why do yours look so much more delectable than Dan’s? I’m going to try these soon, thanks for sharing the recipe. These look delicious! 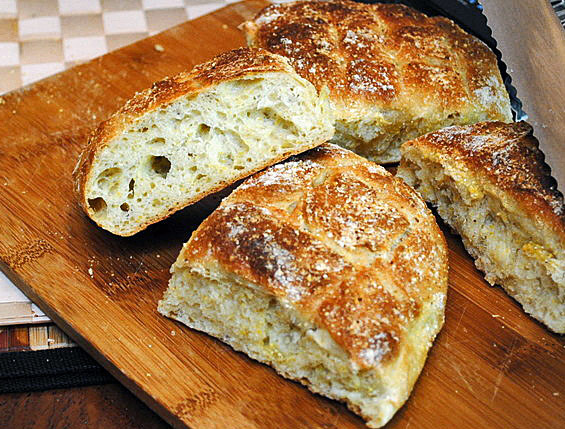 I’m having an issue with wanting to bake every bread recipe I see lately, and this one is added to the list. I am afraid of baking….